As temperatures drop and holiday dinners start filling up the calendar, lifestyle expert Kimberly Schlegel Whitman knows the best family gatherings include a special place for the children. 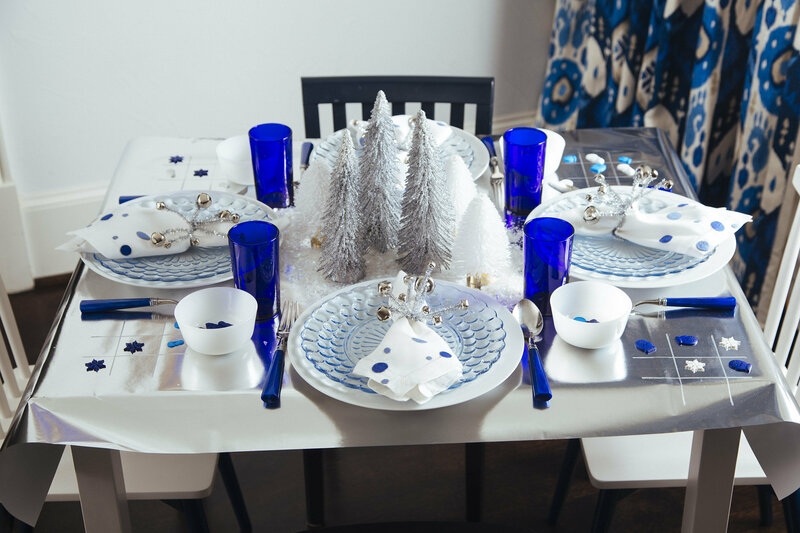 With a shimmery wintery theme, this whimsical tablescape also encourages kids to to entertain themselves with simple games. 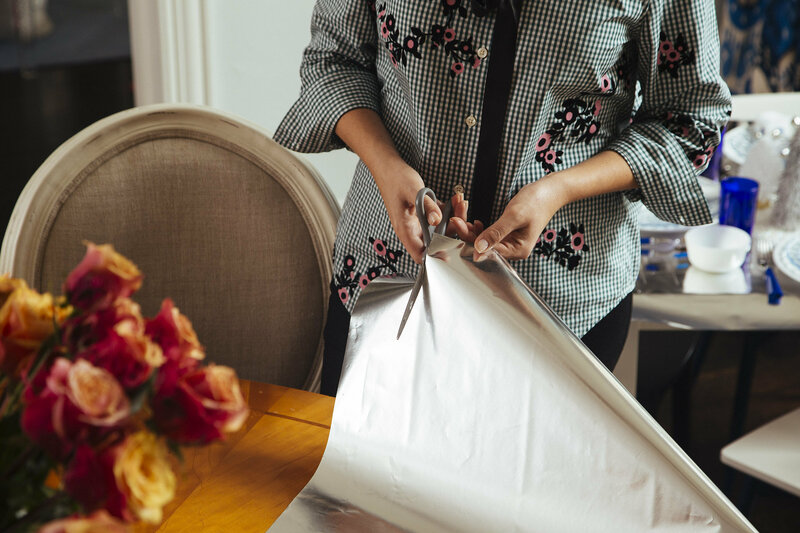 Step One: Cut your silver wrapping paper so that it extends over each side of the table by four inches. Cover the table in the wrapping paper and tape the paper sides under the rim of the table. Step Two: Place the four plates at each setting. 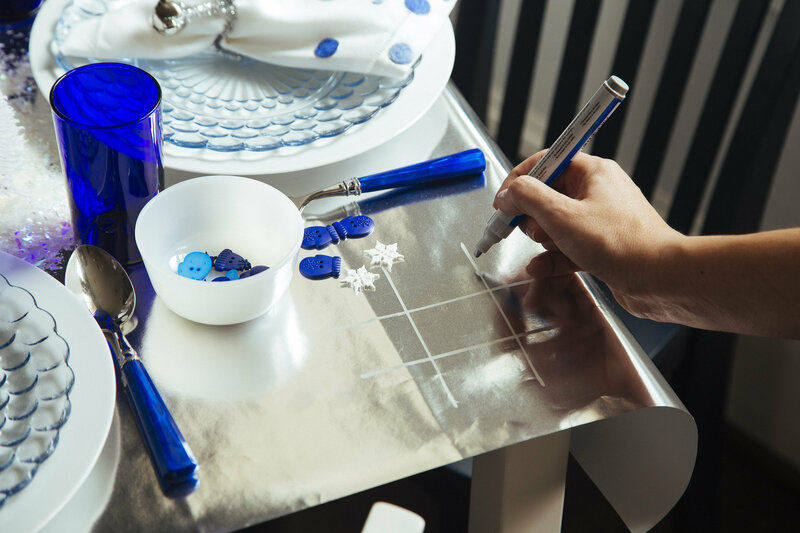 At the corners of the table, to the right of each place setting, draw a game of tic-tac-toe directly on the wrapping paper. If you are not using wrapping paper, you can also draw the game on four pieces of construction paper. Step Three: Create a ring with one piece of pipe cleaners. 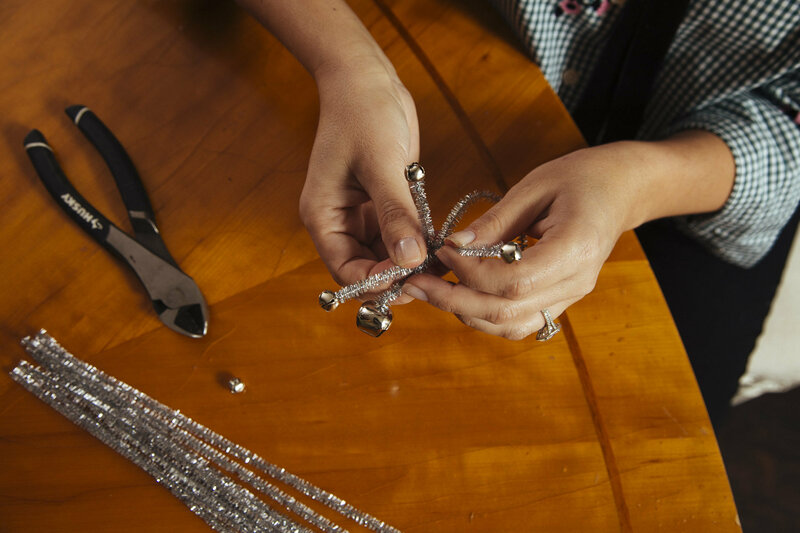 Attach the silver bells to the end of the pipe cleaners before wrapping the napkin rings around each napkin. Invite the children to help you with this part—it’s a great learning opportunity and way to teach them some of the table setting etiquette in a fun way. 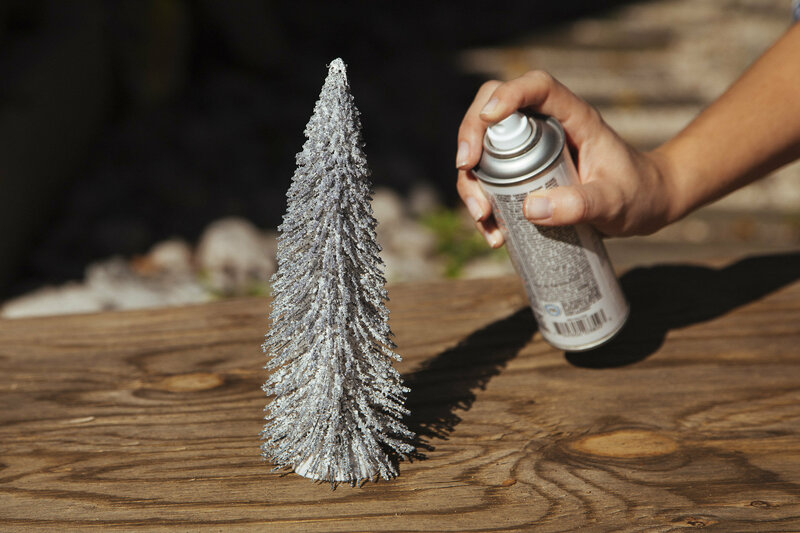 Step Four: Once the table is set, take your mini trees outside and lightly spray with white and glittery silver spray paint so the trees look like they have been dusted with a light snow. Place these mini trees around the center of your white wreath and sprinkle with faux snow for a finishing touch. Whitman has other kids’ tablescapes to share this holiday season. Learn how to create a Gingerbread and Playful Peppermint Kids’ Table or a Thanksgiving Reflection Kids’ Table.